Princess Diana wore an elegant pink gown to the opera in Milan in 1985. Kate Middleton chose the same color halter dress for a Starlight Children's Foundation event in 2008. Princess Anne of England matched a fun orange hat to her suit at the Ascot Racecourse in 2009, the same year Kate paired a matching hat with her lavender coat at the wedding of a British aristocrat. Princess Charlotte Casiraghi of Monaco looked ready to ride in 2003 at the International Horse Jumping Show. Kate Middleton went for a similar look with tall riding boots and a crisp white skirt in 2007 at the Badminton Horse Trials. 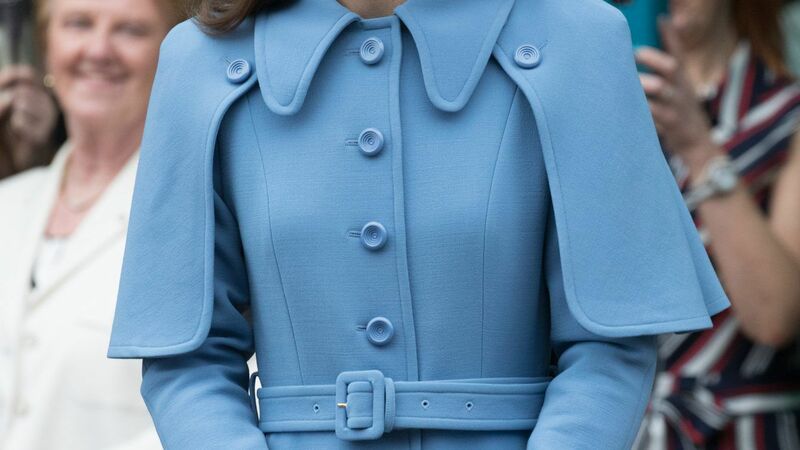 Princess Caroline of Monaco looked chic in a classic trench in London in 1973. 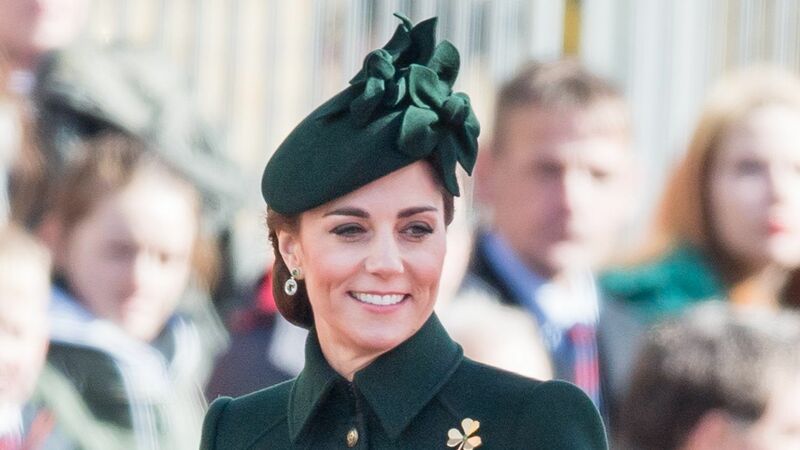 The same style still looked fresh on Kate Middleton in 2008 as she watched Prince William receive his military pilot's wings. Princess Diana wore a red coat and black hat on Christmas Day in 1993. Kate wore the same winning combination during the 2006 holidays. Crown Princess Mary of Denmark looked elegant in a teal gown at a birthday celebration. Kate Middleton looked equally regal in a blue halter at a charity gala in 2006. Princess Grace of Monaco deplaned in London wearing a sophisticated fedora in 1970. Kate Middleton wore hers to a horse race in 2008. Princess Diana dressed in a chic black and white skirt suit at Royal Albert Hall in 1990. Kate dressed similarly to receive her diploma from the University of St. Andrews in 2005. 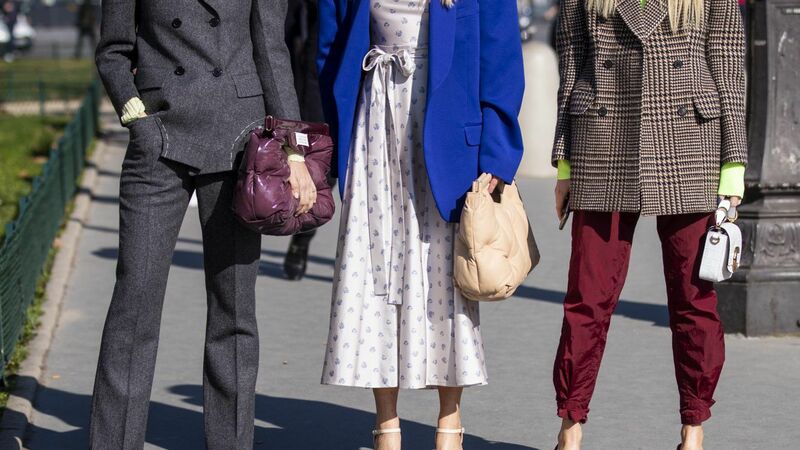 Princesses Mette Marit of Norway and the Royal Rosario Nadal were seen in head-to-toe white shopping in Spain in 2003. Kate wore the same monochrome look on a summer day in London in 2007. Princess Diana wore a feathered hat for an outing in Pembrokshire in 1981, while Kate Middleton wore one almost-identical to a wedding in 2006. Crown Princess Victoria of Sweden wore a beautiful bronze silk gown to a banquet for the Danish Royals in 2007. Kate opted for an elegant chrome-colored gown for the annual Starlight Children's Foundation event in 2009. Princess Letizia of Spain paired her day dress with a fitted blazer, smart pumps and a sophisticated clutch for a Red Cross Fundraising event in 2009. Kate Middleton dressed in the same combination for a royal wedding in 2008. Princess Diana wore a bright red ski jacket for a ski vacation to Klosters in 1986. 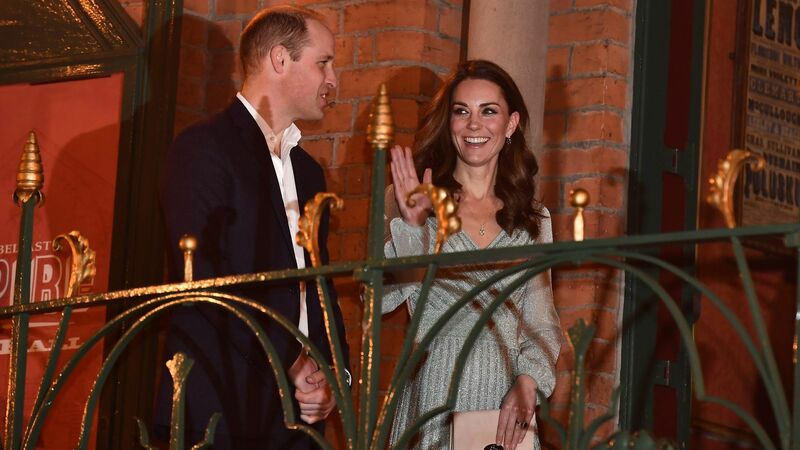 Kate Middleton wore the same in 2005 for the royal family's annual ski trip. Queen Rania of Jordan chose a delicate floral dress for a Royal Military Academy parade in 2006. 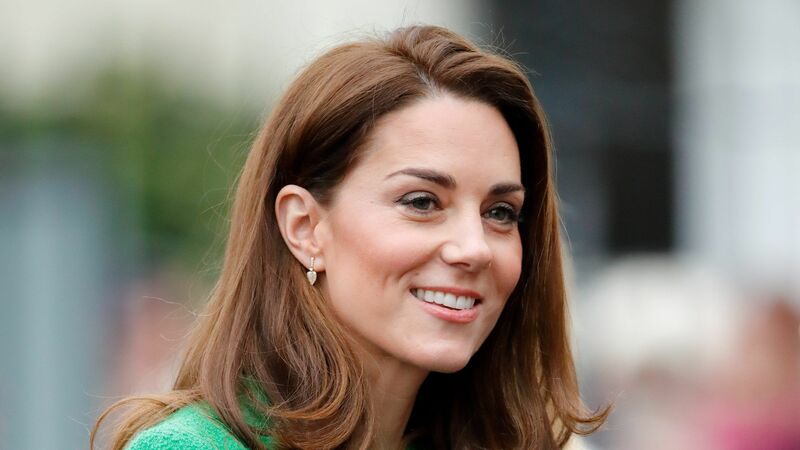 In 2007, Kate Middleton wore a similar carefree look on a walk through West London. Princess Marie Chantal of Greece wore a luxurious fur hat to the wedding of the Dutch Crown Princess in 2002. In 2006, Kate kept warm in a fur hat at the Cheltenham Races. Princess Diana looked glamorous in a red polka-dot dress at the premiere of James Bond For Your Eyes Only in 1981. Kate Middleton dazzled in the same pattern at the Chakravarty Polo Match in 2006. Princess Diana went shopping at Harvey Nichols in 1995 wearing an understated neutral pant paired with a blazer. 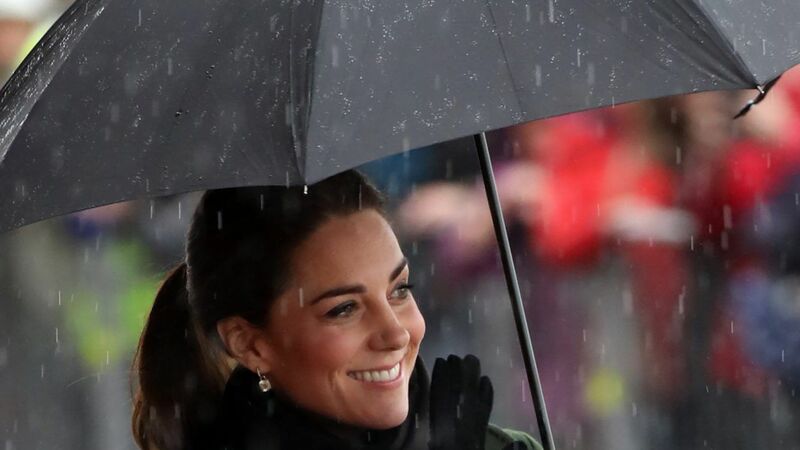 Kate Middleton dressed almost identically 10 years later out and about in London. Princess Diana wore a neutral A-line coat and hat while in Coventry for a charity visit in 1985. In 2011, Kate wore the same classic look for to an event in Wales. Princess Diana looked timeless in a black skirt paired with a navy blazer. Kate Middleton dressed similarly in a figure-hugging suit while out at Witton Country Park in 2011. Princess Diana wore a vibrant red skirt suit in 1989. Kate Middleton added a modern flare to her look with black accessories for a visit to the University of St. Andrews in 2011.